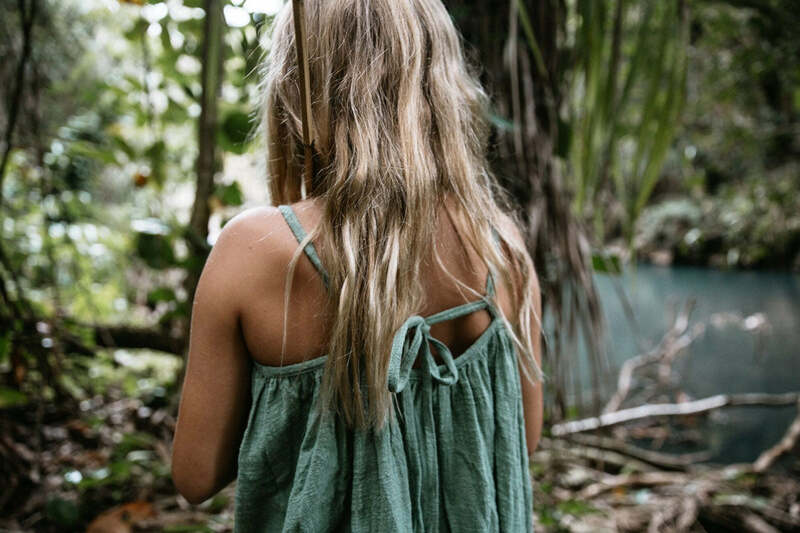 Roam free, get lost amongst the palm trees, wander along an untrodden path, watch a sunset, keep shining and dream. 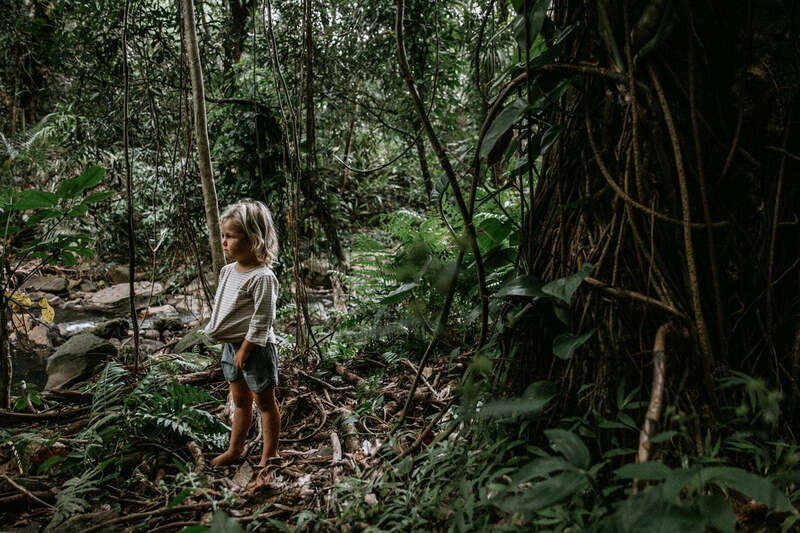 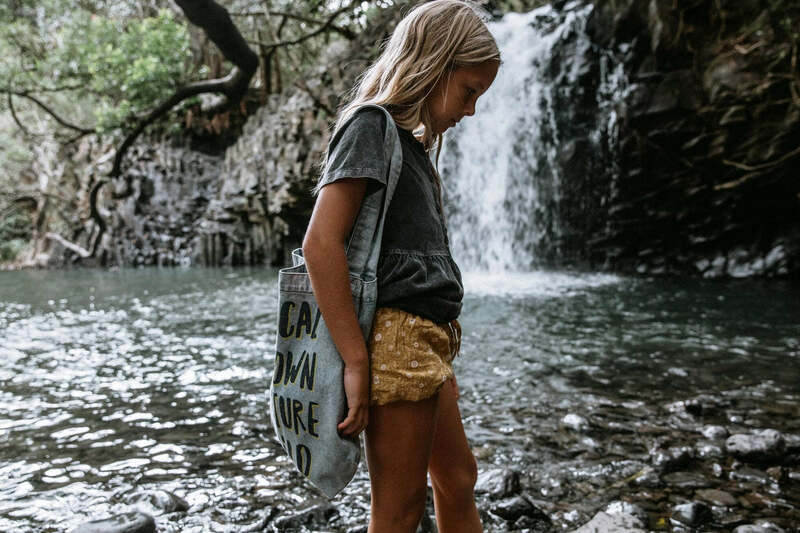 Inspired by children exploring the natural world and discovering beauty in places they’ve never seen before, this is Paradise Found. 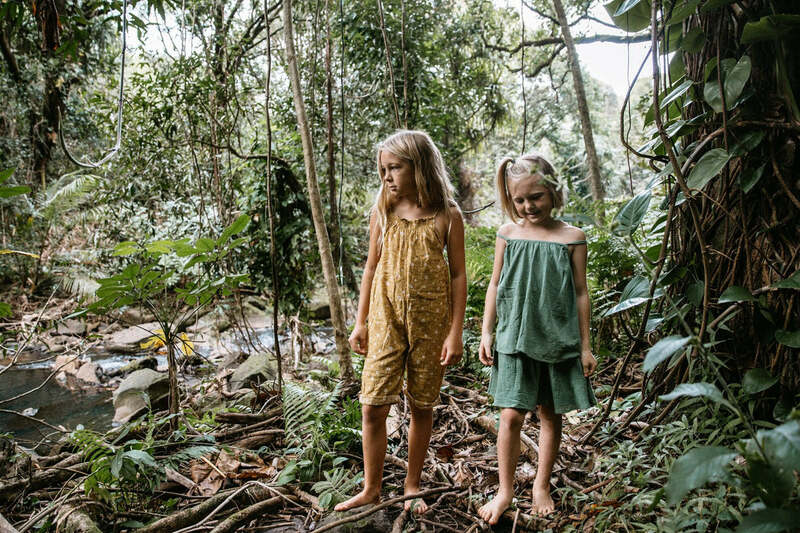 The colour palette and new signature print stories were inspired by magical waterfalls, palm leaves, ram shackle hideaways, tropical jungles and the kaleidoscope of colour found in pristine rainforests. 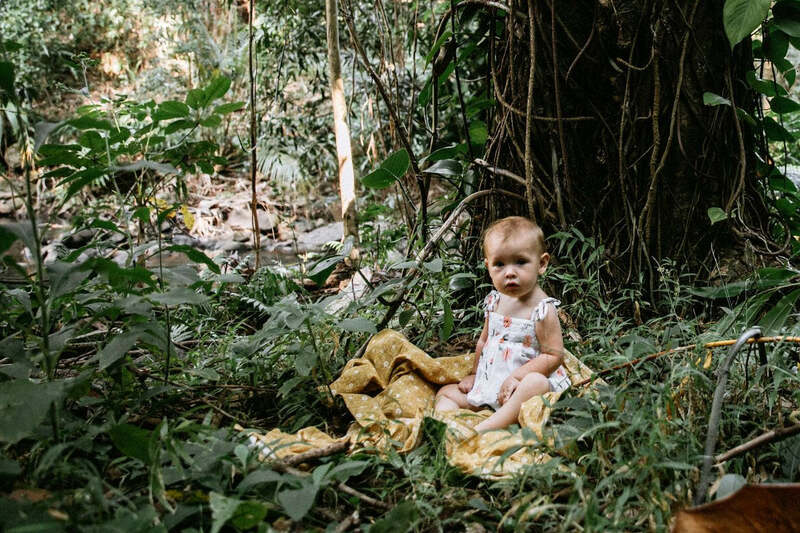 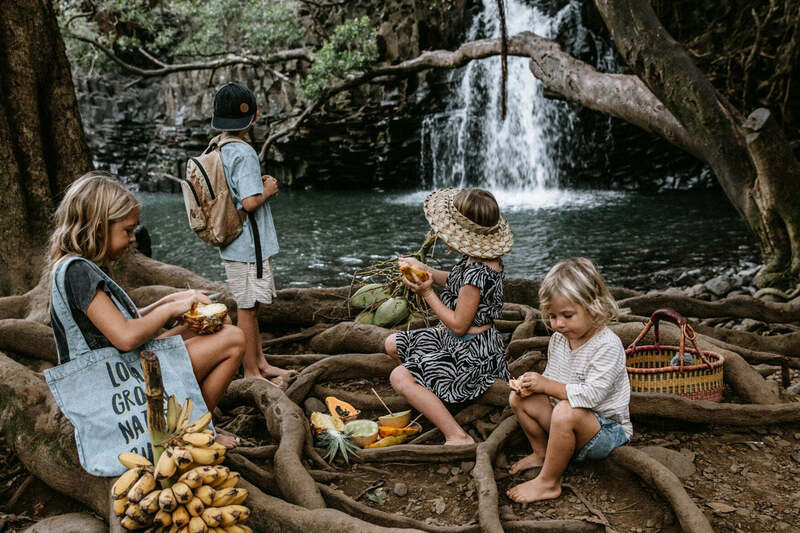 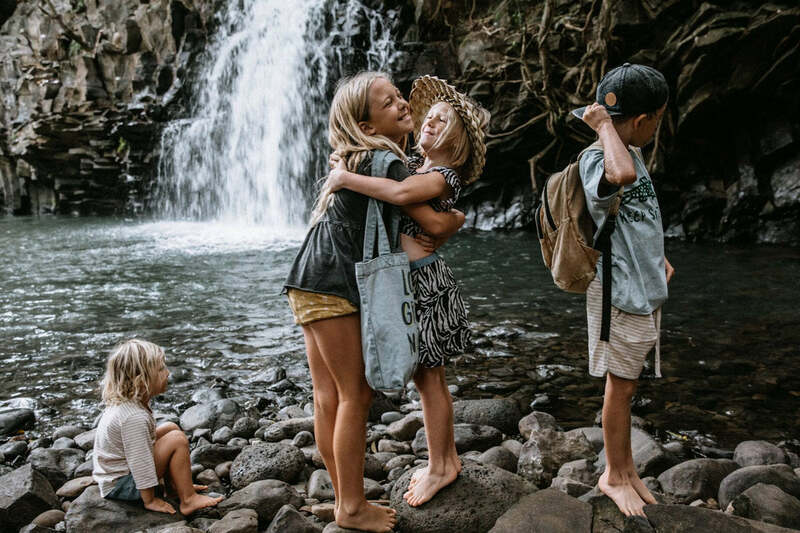 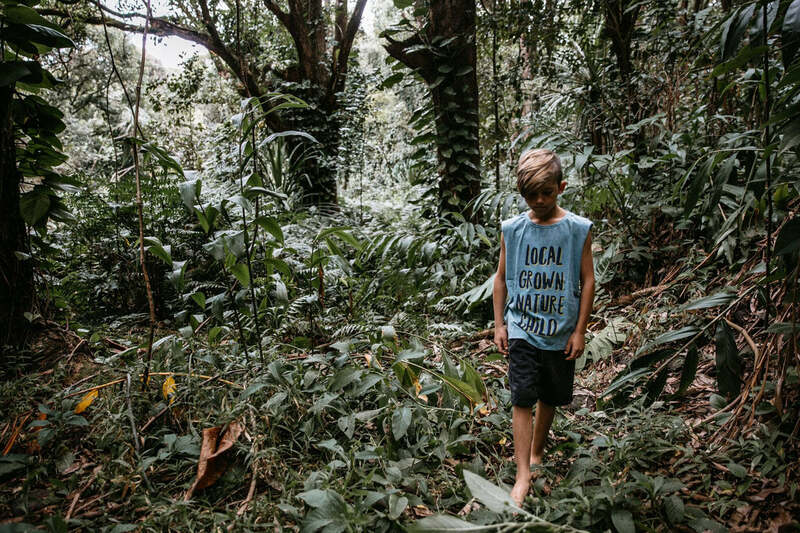 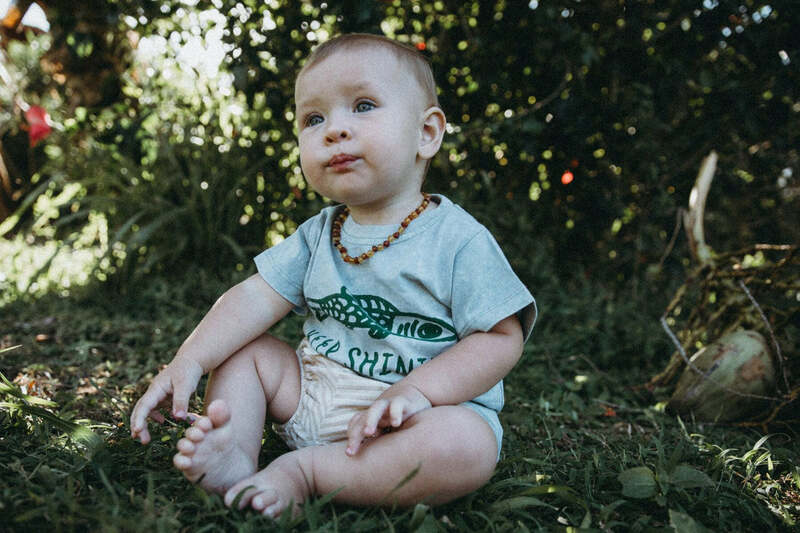 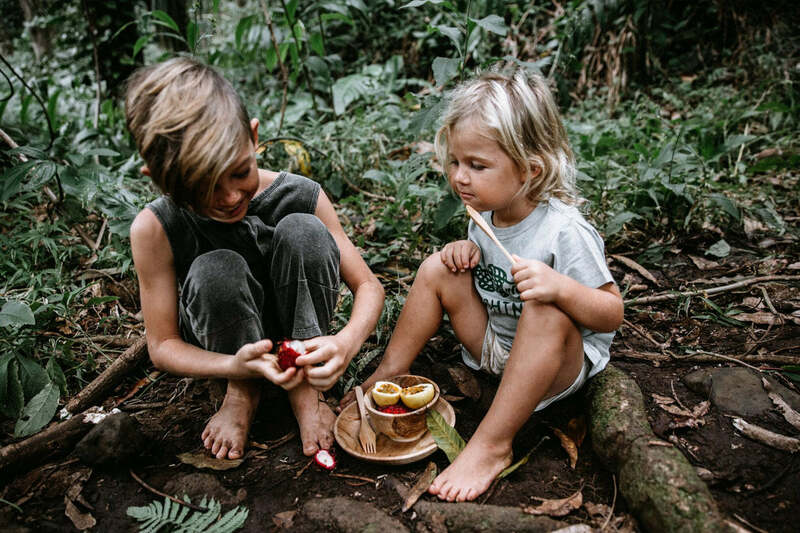 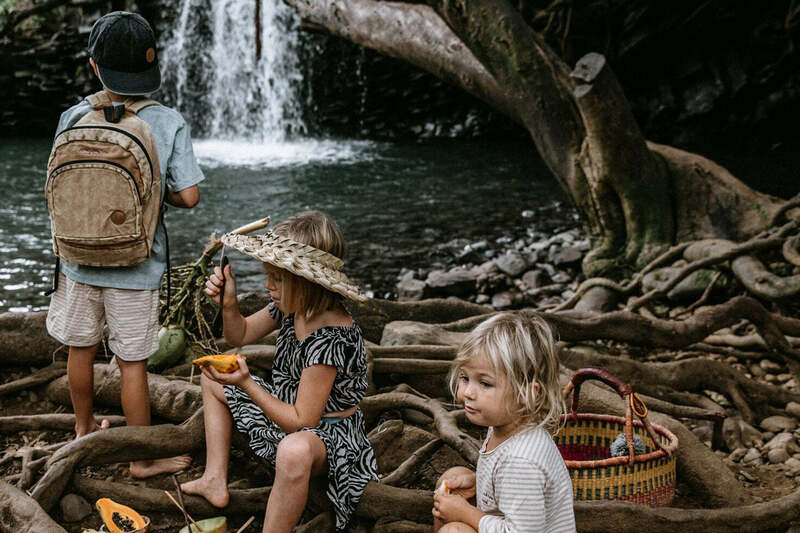 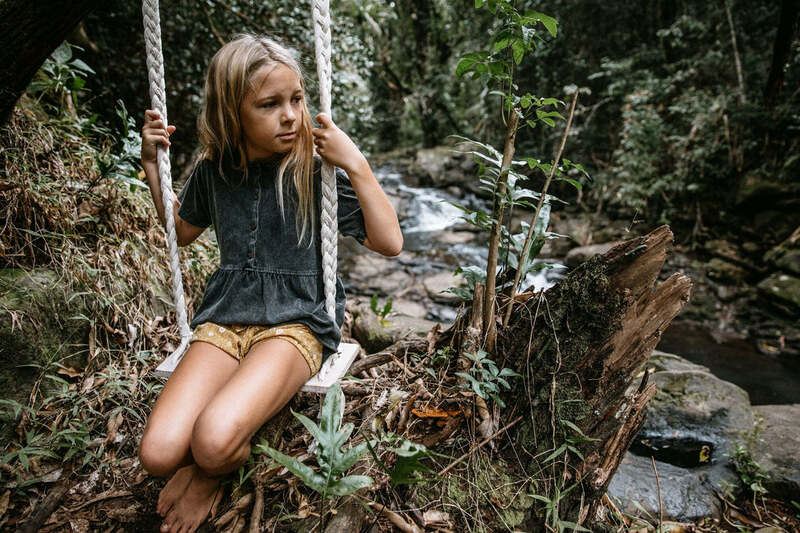 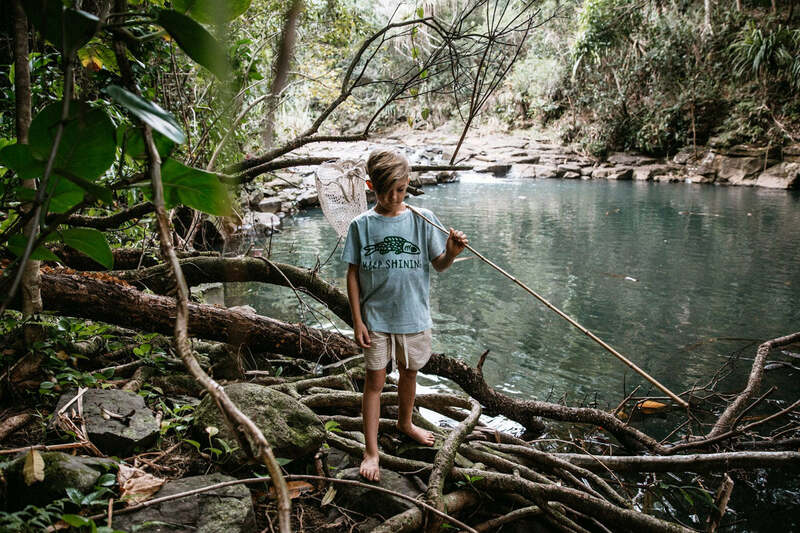 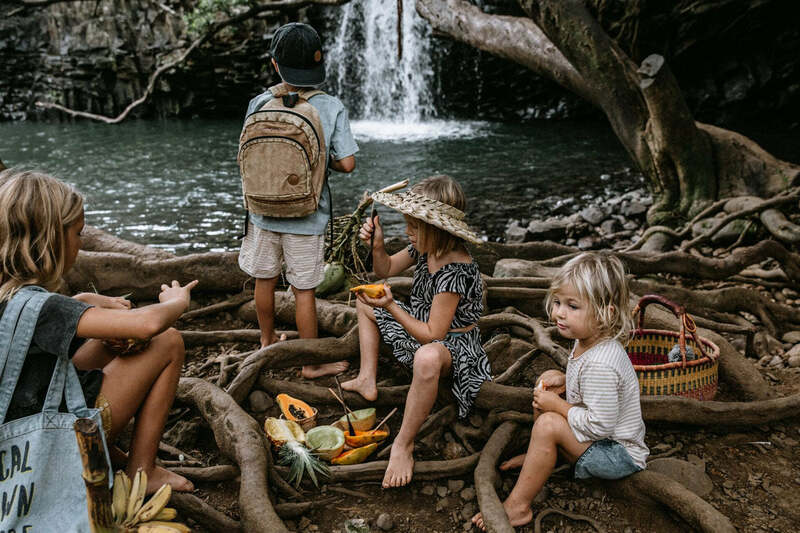 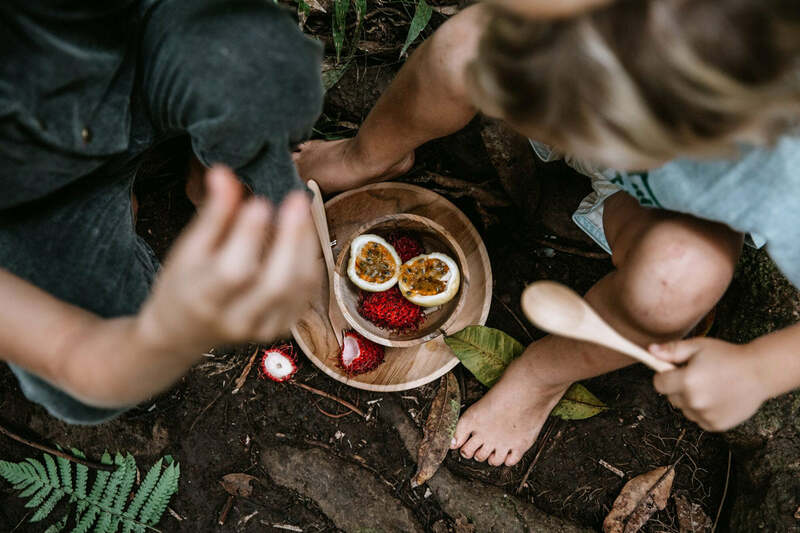 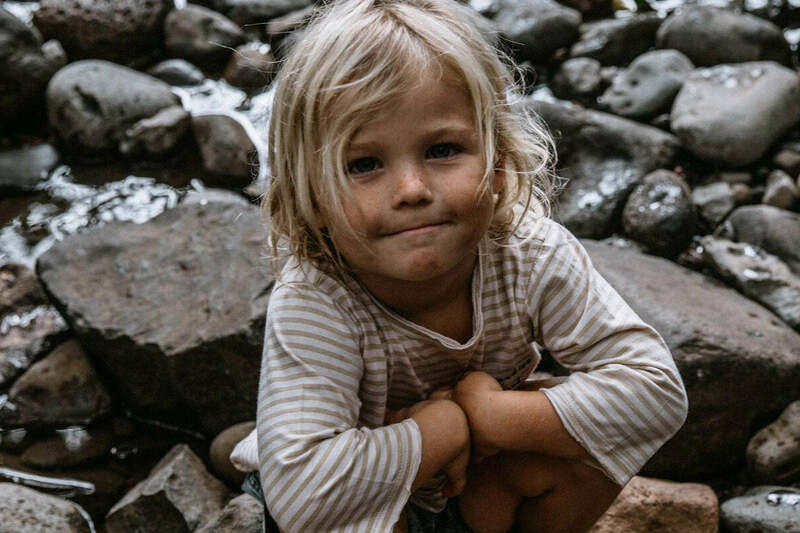 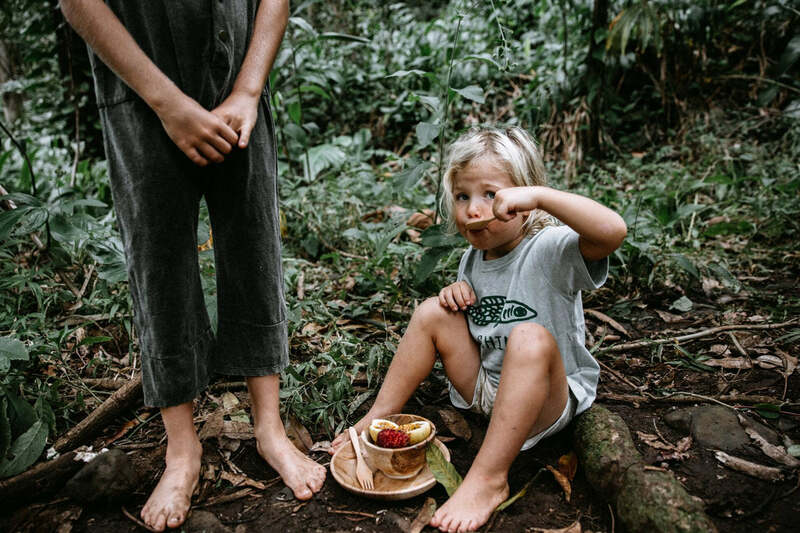 Introducing our new ‘Local Grown Nature Child’ and ‘Keep Shining’ statement pieces, Paradise Found will have your free-spirited little adventurer all set for their next discovery. 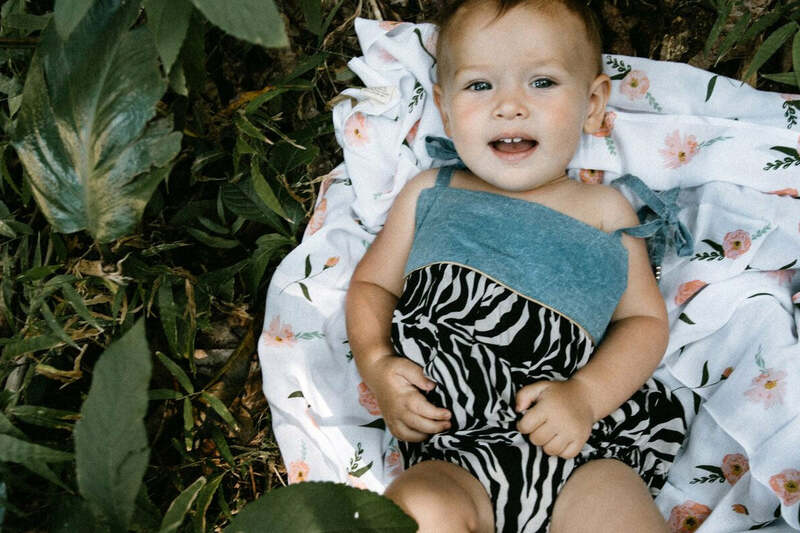 A summer staple, our signature overalls are made from the softest cotton jersey in aqua, a low back, front pockets and an adjustable button closure.